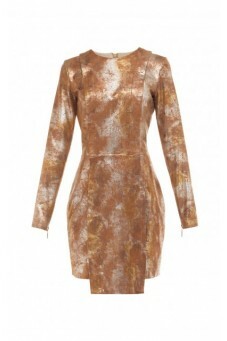 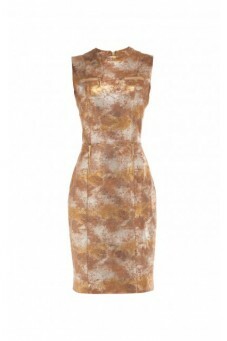 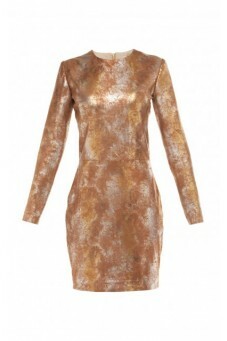 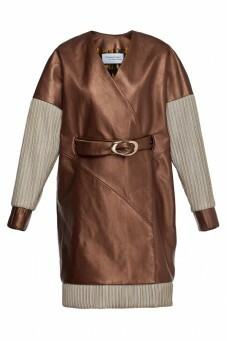 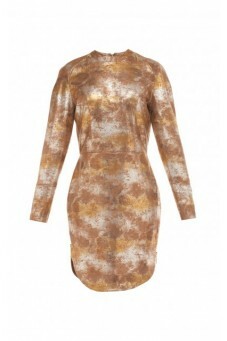 Copper dress with a stand collar from the THE ONE collection. 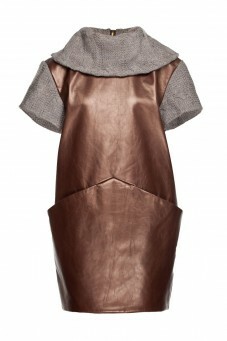 Dress with asymmetric front made out of leather. 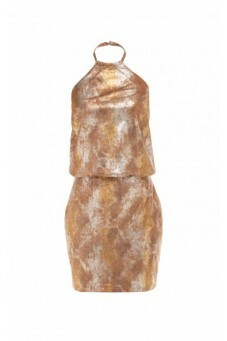 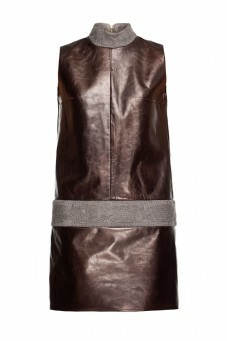 Leather halter dress in gold and brown color. 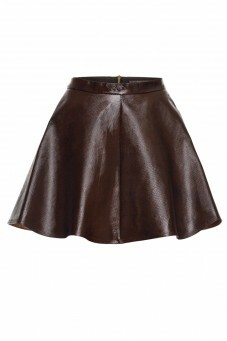 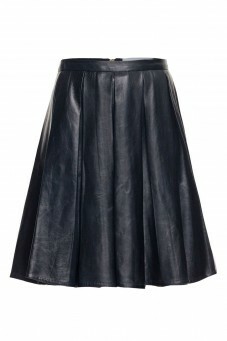 Navy blue leather skirt from THE ONE collection. 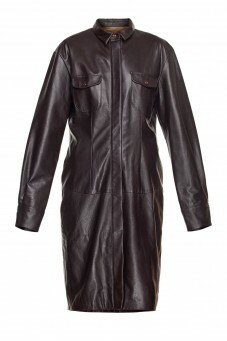 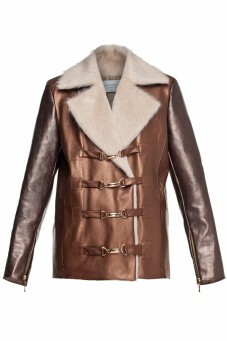 Leather coat from THE ONE collection. 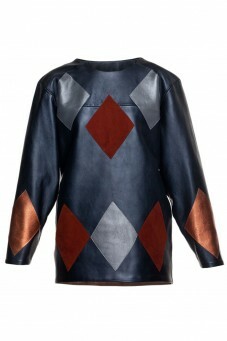 Sweatshirt with rhomb patches from THE ONE collection. 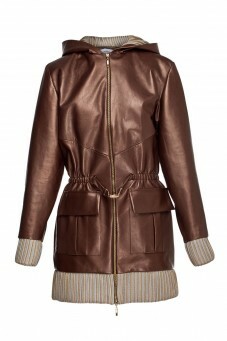 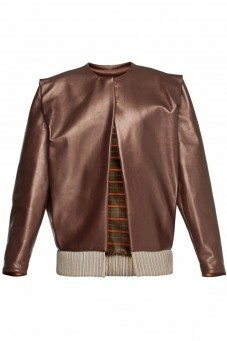 Brown Leather Jacket from THE ONE collection. 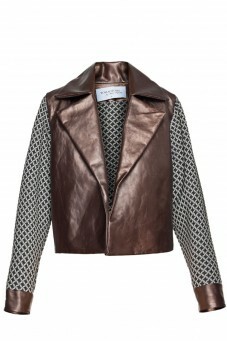 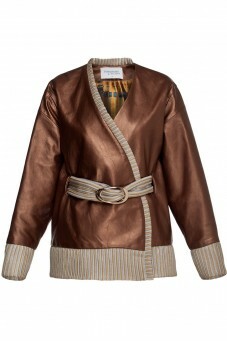 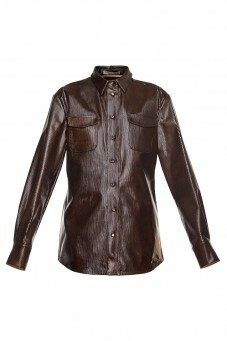 Genuine leather brown jacket with jacquard from THE ONE collection.